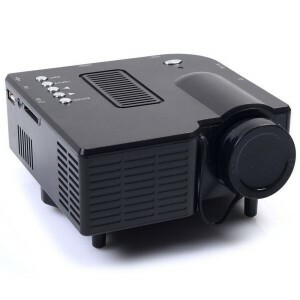 The professional appearance design for ventilation has largely improved the stability and life time for the projector. The LED lamp works for about 20,000 hours and provides superb pictures with a 3.15" LCD Panel Screen. The mini projector is light and easy to carry. It could change in 16:9 and 4:3 aspect ratio easily!